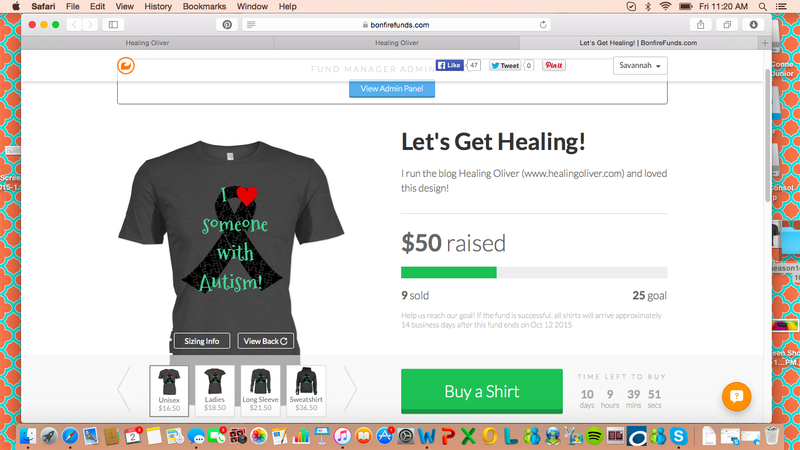 9 shirts sold and $50 (additional) raised! We only need 8 more to sell by October 12th for the shirts to be made. So excited! Thanks, everyone. Where can I get the shirts again? I need to order asap.